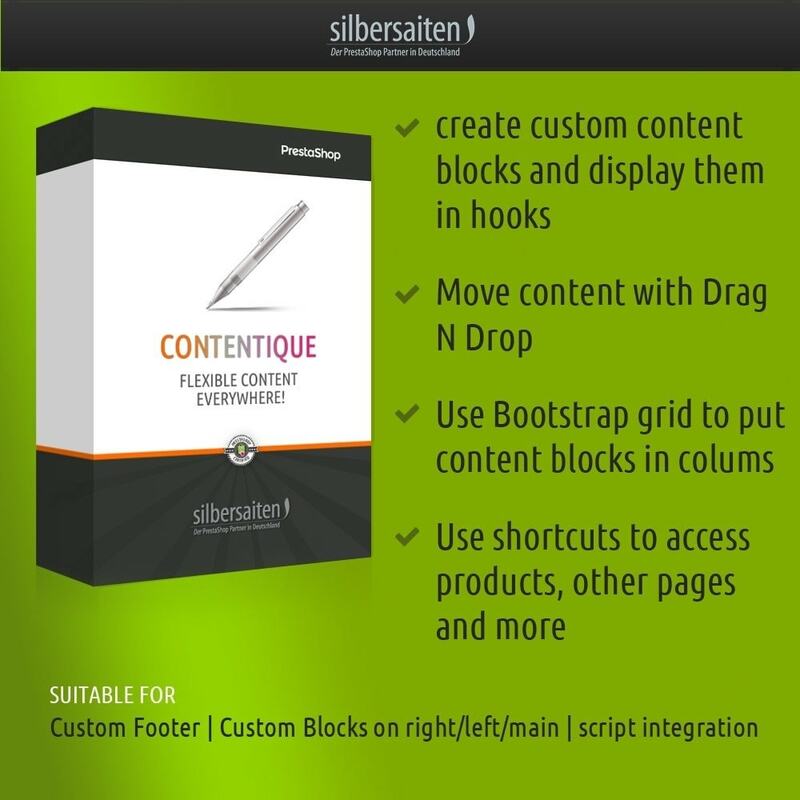 Contentique - Flexible Content Blocks! 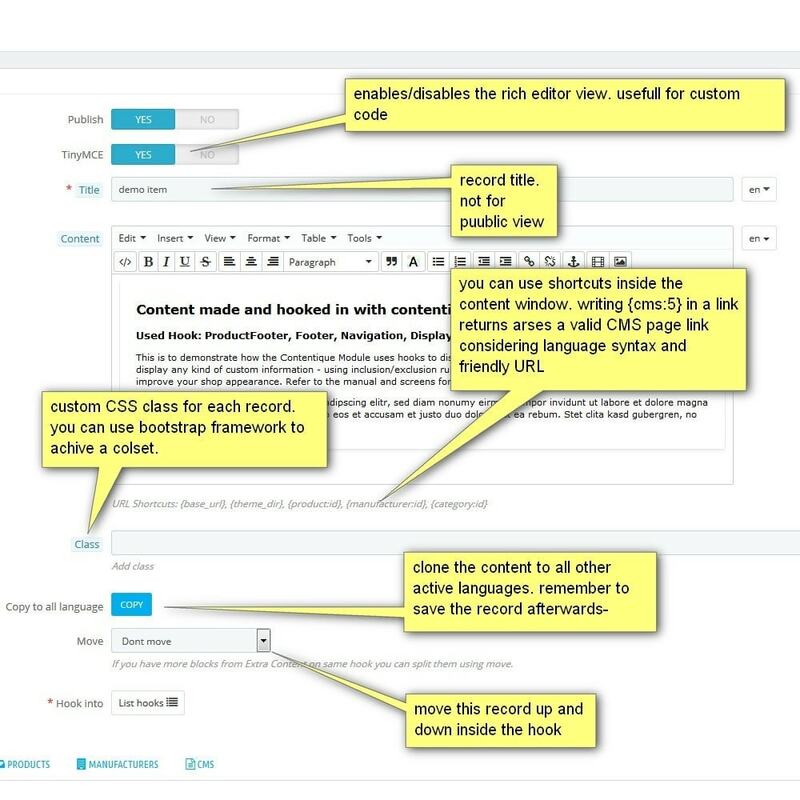 Home / PrestaShop modules / Ontwerp & Navigatie / Blokken, Tabbladen & Banners / Contentique - Flexible Content Blocks! 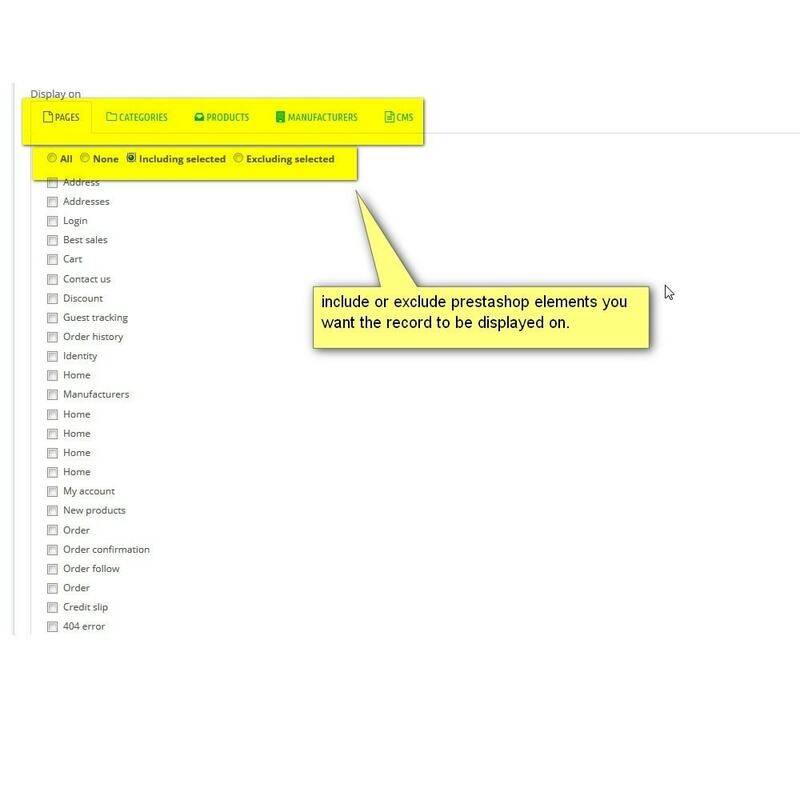 module	Contentique - Flexible Content Blocks! 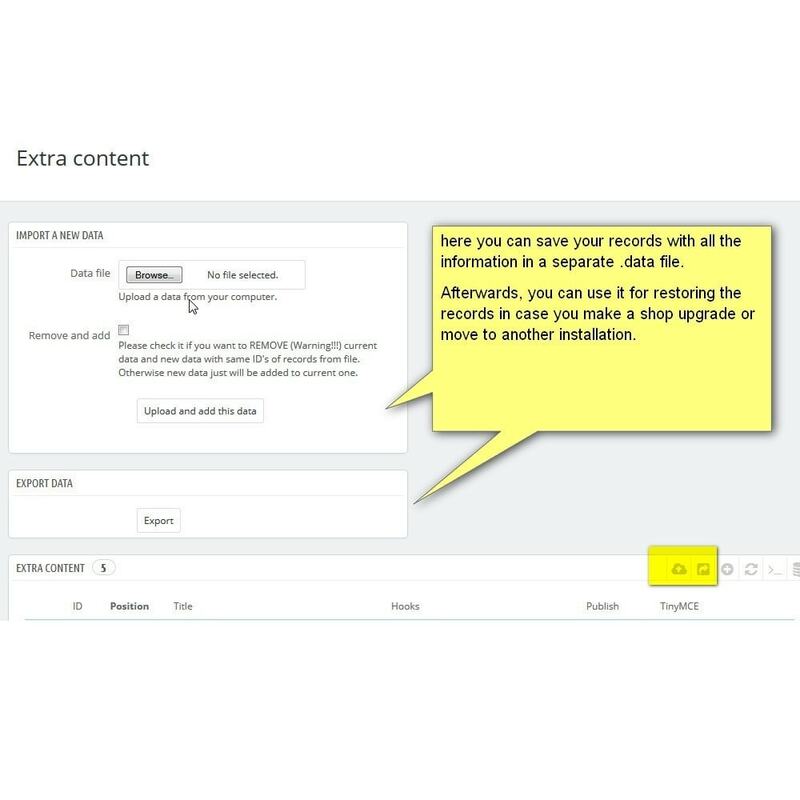 With SFExtra Content you can add unlimited content entries to and hook them everywhere in your shop. 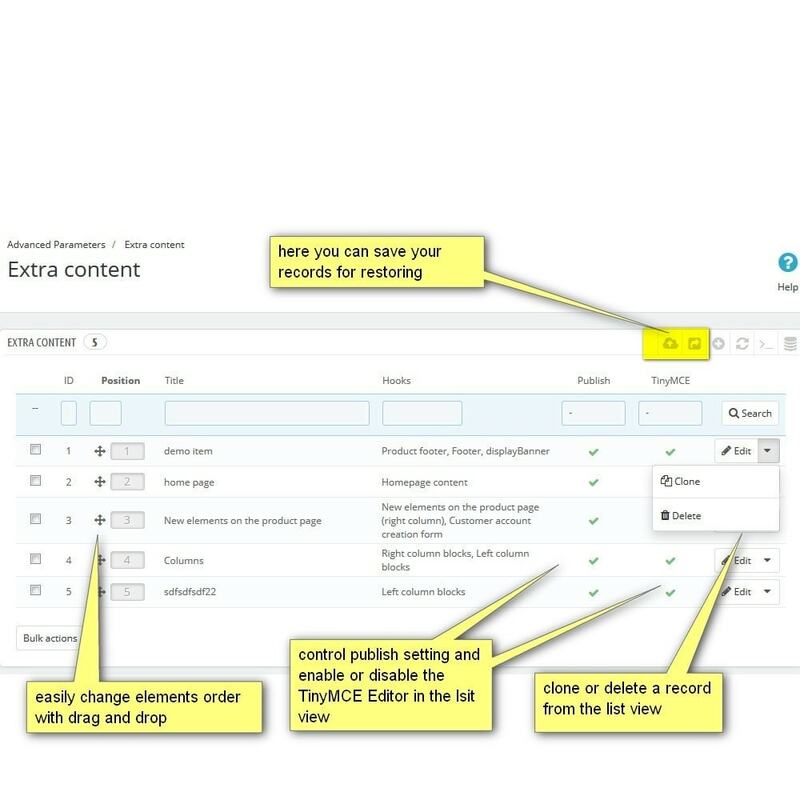 With Contentique you can add unlimited content entries and hook them everywhere in your shop. 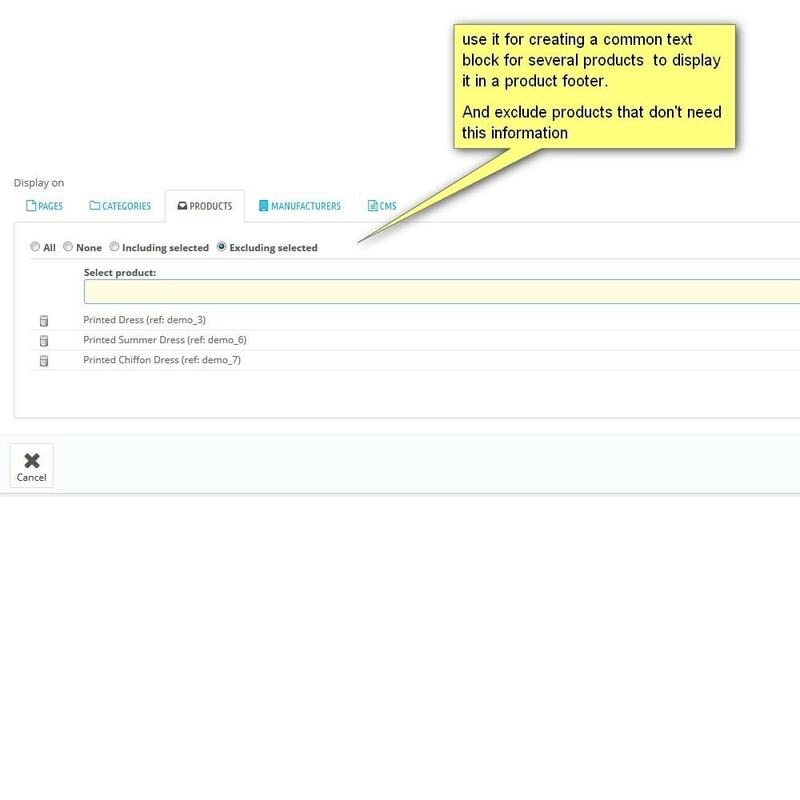 Furthermore, you can define exceptions for every Prestashop page where the content should be shown and where not. 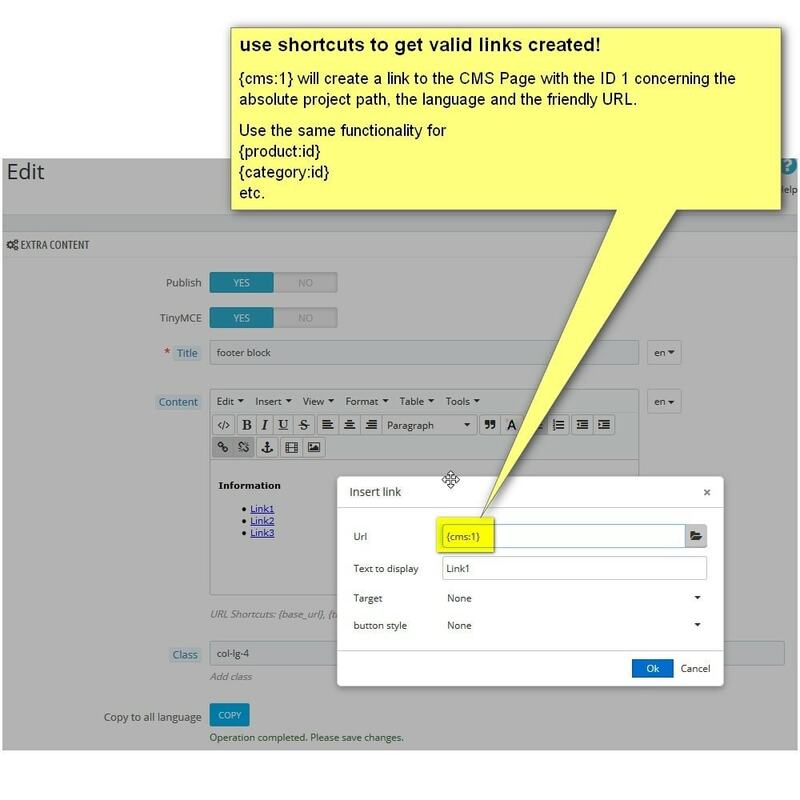 For example, you can set up a right column content block to be show only at the category with the id 5, or only with the CMS page ID 10. 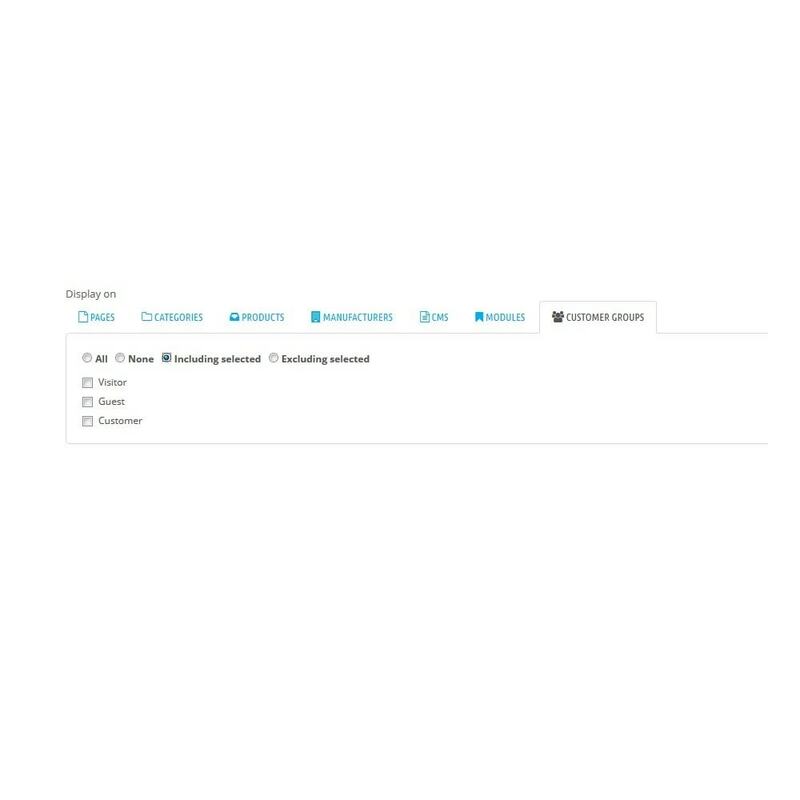 Of course, you can combine the exeptions. 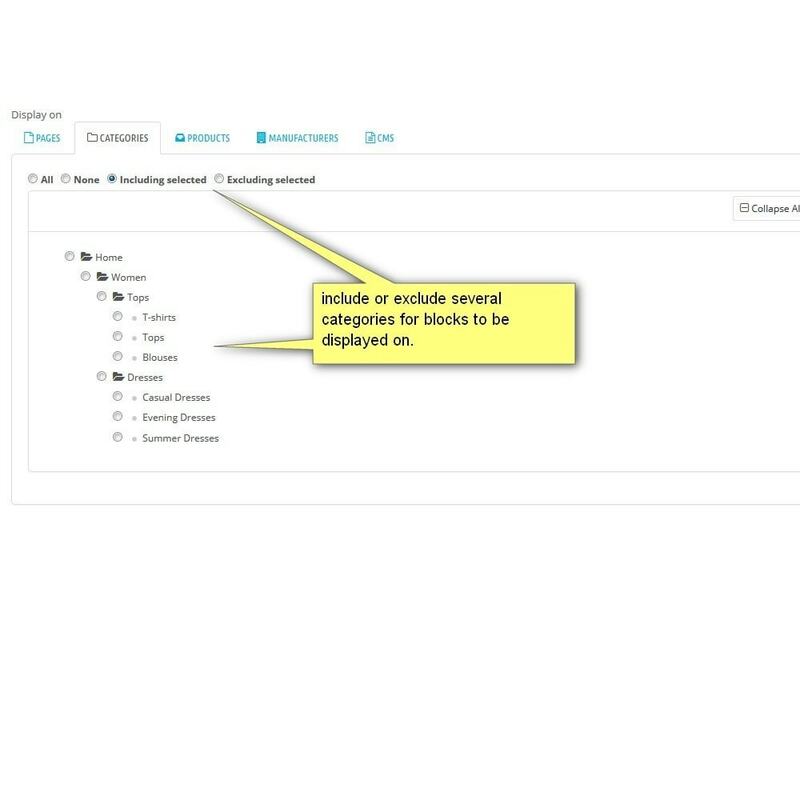 Unlimited TinyMCE content blocks, in every prestashop hook, such as footer, product pages, left and right columns and so on.